Being on vacation doesn't mean the boys have to be careful. An encounter with a sneezing deer provides their father with an opportunity to teach the boys about respecting wildlife and staying alert for danger. Knowing more about the park's wildlife helps the boys have more fun while staying safe. They discover staying quiet and moving slowly makes it easier to see the animals and birds that call the park home. At the camp, the boys have responsibilities like the rest of the family. When they neglect one of these responsibilities and lie about it, they wind up in trouble-and learn an important lesson. 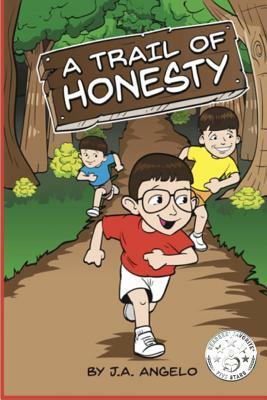 Beautifully illustrated, A Trail of Honesty teaches children about honesty while explaining actions have consequences. J. A. Angelo's delightful story is an ideal way for parents to use consequences to teach children how to be better people-not simply to punish them.